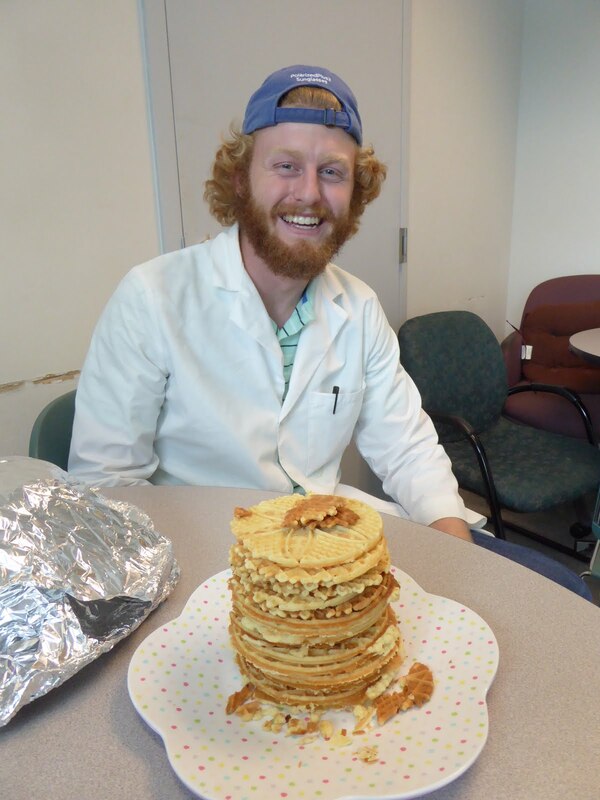 It it hard to believe but three years have gone by since we said goodbye to one of our MD, PhD recipients as he headed off for his residency. 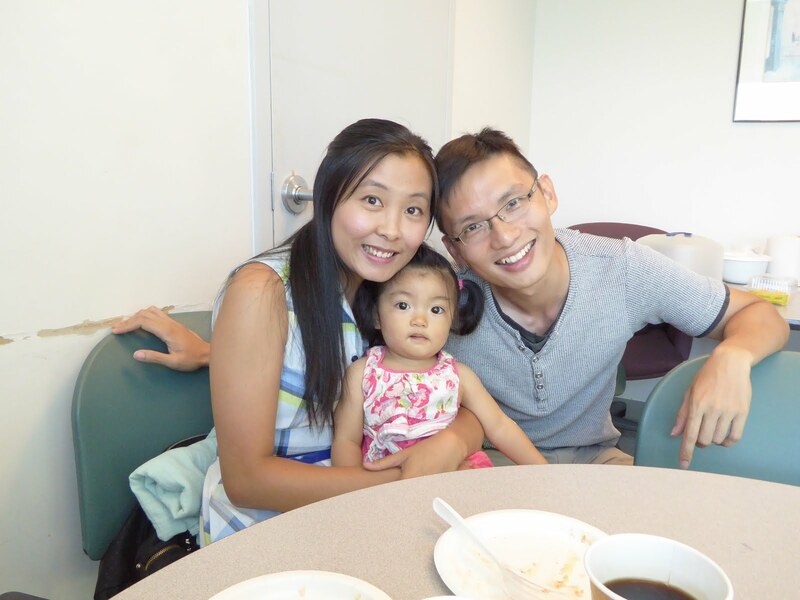 He now returns for his 3 year gastroenterology fellowship to our division. Having been a fan of cake hour and with a wife who was quite good baking and decorating cakes, we were happy to hear that they wanted to sign up for cake hour. 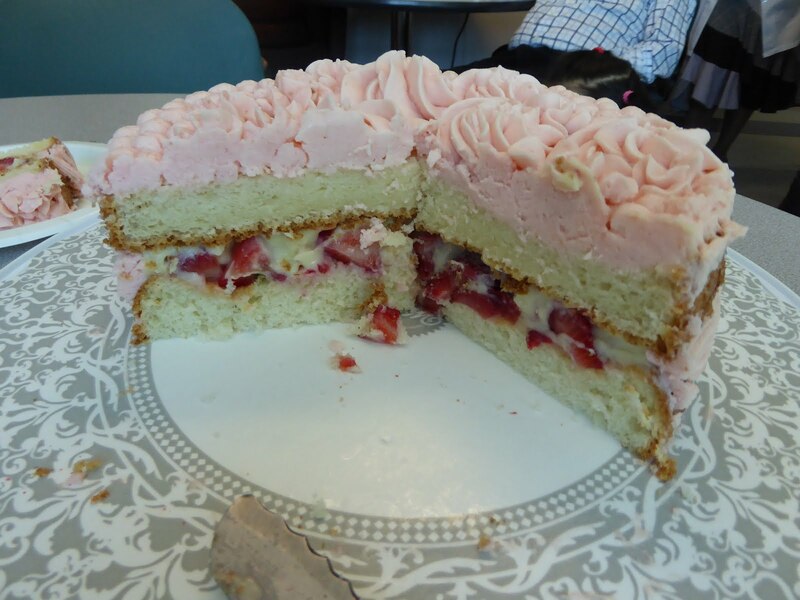 Today marked the welcome return with a great cake and the little one that appeared since departure. Our baker said she made the cake with whatever she happened to have at home. Obviously she had some ingredients for a pretty good cake because that is what we had. 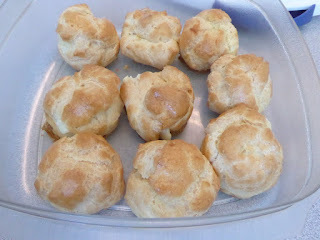 Oh, and thrown in a few profiteroles to go with the cake. Just happened to have all the stuff to make these at home! The cake was a simple yellow sponge like cake with two layers. In between the layers were fresh strawberries in pasty cream. It was frosted on the top and along the middle seam with some strawberry flavored butter cream that was lightened in taste and texture with some milk/ The top was very beautifully covered with frosting roses, swirls and beads. It was very pretty. Quite elaborate looking when viewed from the top! Roses and swirls and beads, oh my! 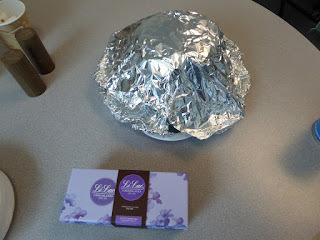 As was to be expected from someone who knows what they are doing, the cake tasted great. Good, soft, moist sponge with just the right amount of sugar. It was light and flavorful leaving you wanting more. Awesome filling with strawberries and pastry cream! If you wanted more though, you could have one of the classic profiterole/cream puffs. 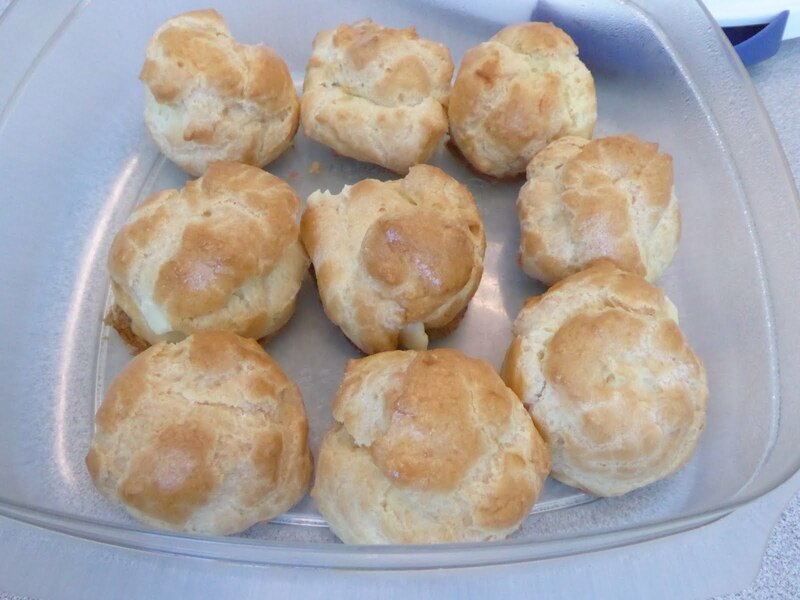 They are made from standard Pâte à Choux and filled with pastry cream. These were also very good. 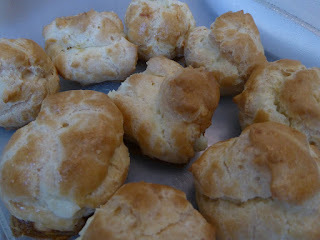 Classic cream puffs minus the powdered sugar! Baked and puffed to a perfect golden brown! After wondering what you could call this kind of impromptu cake, I watched an episode of the British Baking competition show where they had to make a "Victorian Sandwich", as one of the last creations. Who knew what that was but it turns out it was very similar to what our resident baker whipped up at home. The contestants in the show had to create it without a recipe so it must also be something you can whip up fairly quickly just like today's creation. 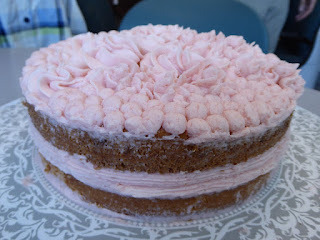 It is also made from yellow cake, strawberries and butter cream. 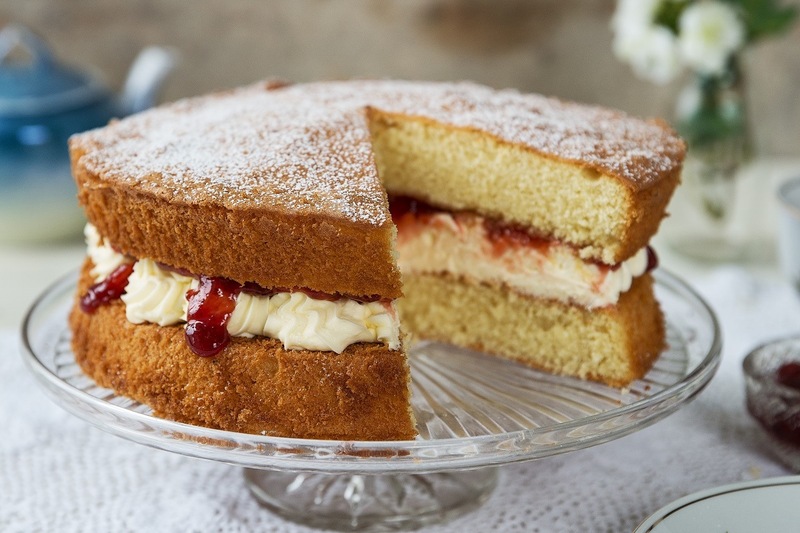 For all these reasons we will consider our cake to be a variation of but nonetheless a "Victoria Sandwich". Typical Victoria Sandwich - you see the similarity, right? 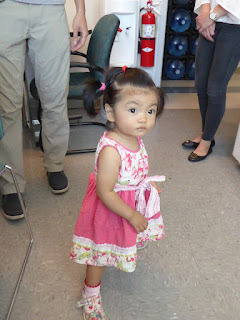 In addition to a great cake, they brought along the little one that joined the family in NYC. It wasn't her first cake hour but the first where she could stand on her own two feet! Today we celebrated a birthday, yay! It was for one of our new colleagues working as a research assistant prior to further education to a PhD. The birthday treats were some vanilla and chocolate cupcakes from Whole Foods, some nice Breyer's Vanilla Bean Ice Cream and some coconut gelato. So we sang Happy Birthday and enjoyed the goodies. The birthday girl and the goods! The cupcakes were good, but somewhat generic as you would expect. The swampy gold color of the frosting on the chocolate cupcakes was certainly interesting. The Breyer's was as it always is. The coconut gelato was a bit especially with birthday honoree, who and was the first thing to go. But all in all it was a good standard kind of birthday party. Nice and typical birthday selection! Coconut gelato was something different! Breyer's "Natural" Vanilla was as it always is! Chocolate cupcakes with swampy gold frosting! 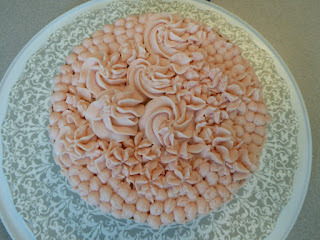 And the vanilla cupcakes are covered in pink! 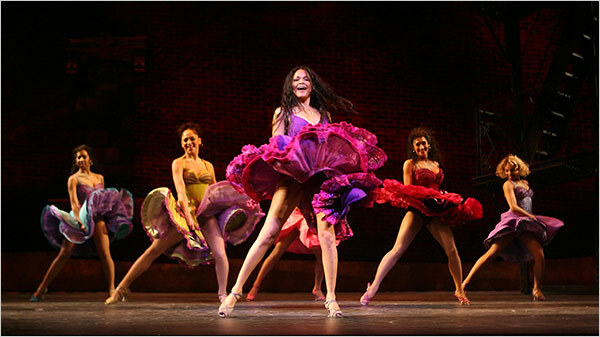 Except someone was suggesting that the birthday girl dance and to "West Side Story" no less. A couple of the songs were lyrically modified to fit with the celebrant but no dance. 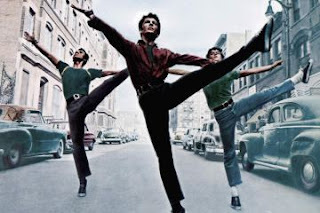 It's really not surprising though inasmuch as when you tell someone dance is something you do on the side and they automatically come up with the West Side Story connection for you to perform to, it is a stretch. Our dancer may now think twice before sharing any outside interests again!! And forget about the Jet song also! 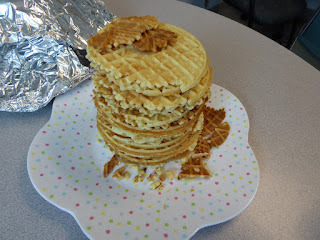 The pizzelle were a hit and we had some artisanal NYC chocolates. 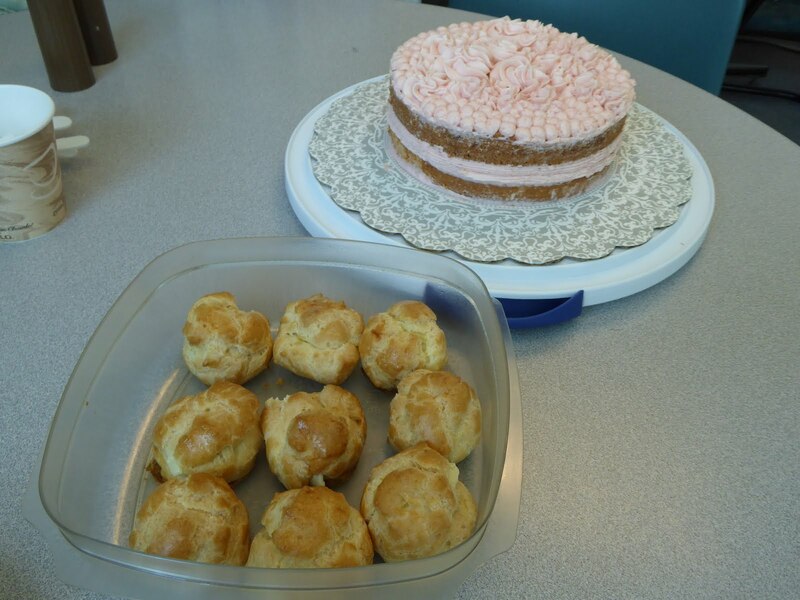 Today's entry for student cake month were some homemade Italian cookies. The person who made and brought them isn't really Italian so what gives? Apparently these were something that he had once, decided he liked them and then learned how to make them himself, you know, the usual stuff just like everybody else does right? Well not really so kudos to him for learning and for bringing them for us to enjoy. A couple unknown treats lie in store! 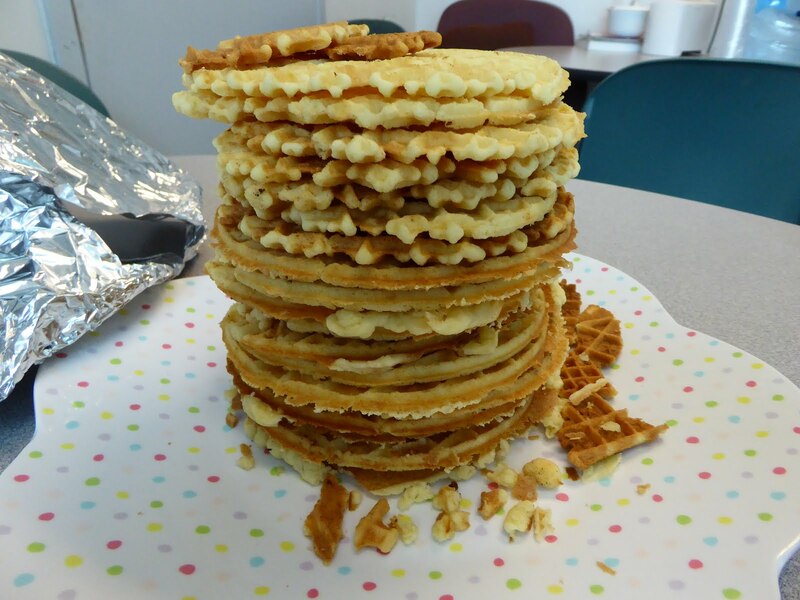 Nice little stack of pizzelle. He made pizzelle, which is not a little pizza like it sounds. Pizzelle are traditional Italian waffle cookies made from flour, eggs, sugar, butter or vegetable oil, and flavoring (usually anise or anisette, less commonly vanilla or lemon zest). 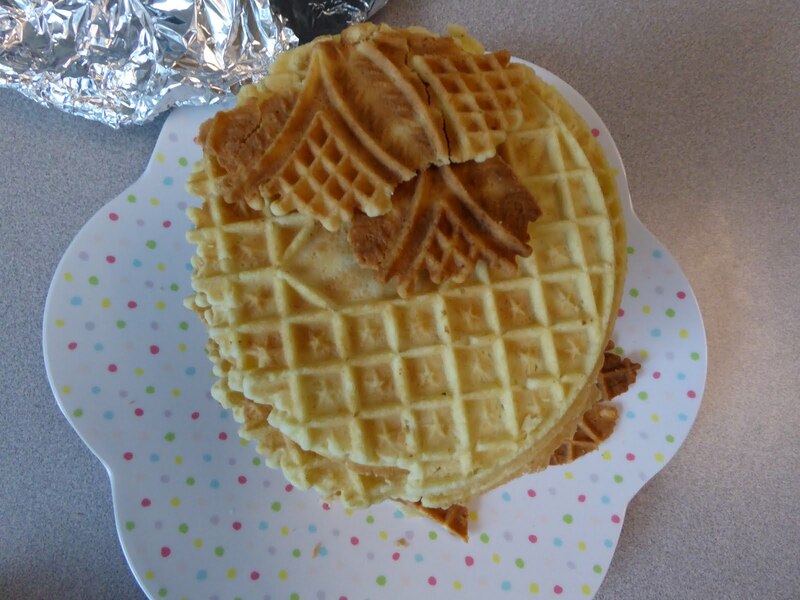 The batter is prepared then poured into a pizzelle mold, similar to a waffle iron that gives the cookie its unique snowflake pattern. The mold is then held over the burner of a stove to cook (unless it is electric which also happens.) These are popular at Christmas and Easter neither of which we are near but, I told you, he just liked them. We got them plain in a big stack, which was fun. They are frequently covered with powdered sugar and can even be used to make a sandwich with ice cream or cannoli filling. We didn't go there. The shape comes from the mold. Snowflake? They were very good! They were not too crispy i.e. overcooked and not too mushy. They had the right amount of crispness for sure. And of course the were enjoyable because, as a European recipe, they are not sickeningly sweet. Everyone enjoyed them and suffice it to say the pile did not last too long. And the stack is starting to decline! 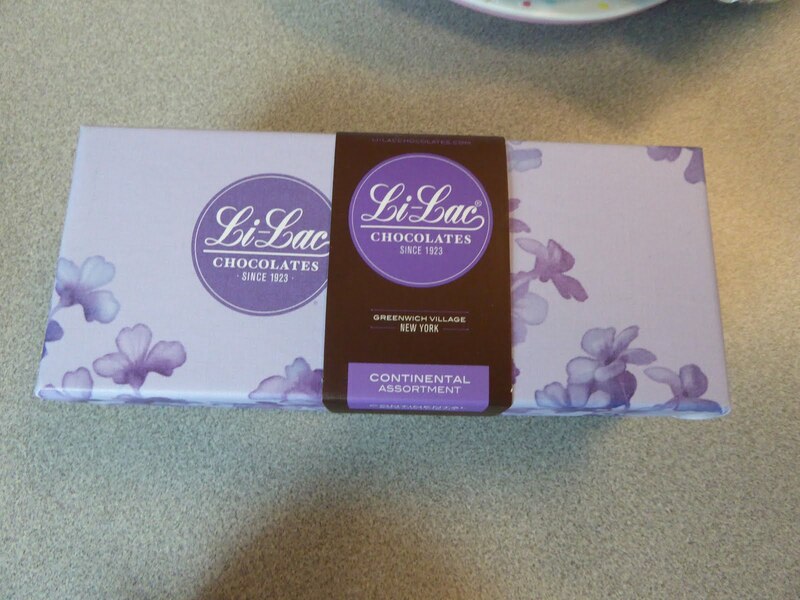 For a complementary treat we also had some chocolates that came from New York City. 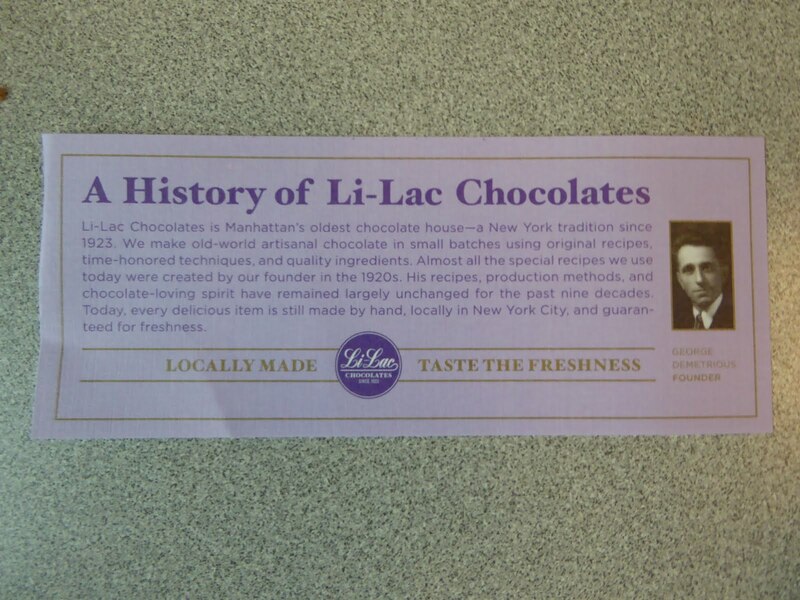 Another of our associates had visited recently and came across some candies made by Li-lac Chocolates which claims to be and probably is New York's oldest chocolate house and has been making hand made chocolates since 1923. The package included a history of the place which certainly was news to us. From the oldest continuous chocolate house in NYC - LiLac! Another slice of NYC history! 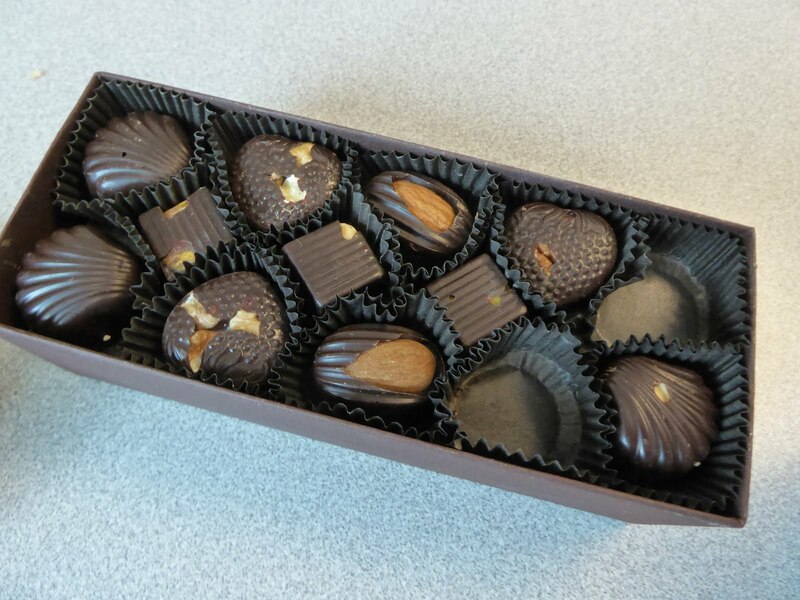 Looking good and mostly chocolate and nuts...even better! They were very good, mostly dark chocolate with embedded nuts which we liked. There were no issues with cream filling or the like that you realize you don't want after you take one bite. All together the two treats made for a good flavorful time today at cake hour! And the first student entry is......homemade lemon squares! 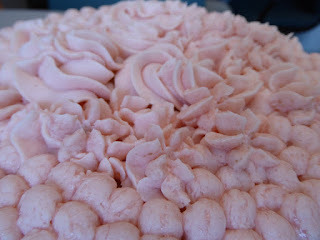 It's July which everyone associated with cake hour knows is student cake month. This is our friendly, non-competitive contest for the lab students to show us their cake hour stuff. It is also a surreptitious way to get them to bring in sweets for the rest of us but never mind that! We accept anything but prize homemade goodies a bit more. As a matter of fact if it is not homemade you can't get the highest five star rating. I guess we are a little demanding in that regard. First off with some lemon squares! Today's kickoff entry was homemade lemon bars from our Brown Medical School student doing some concurrent research. These baked in a rectangular pan and then cut up into small squares so we suppose that makes them lemon squares. These are tricky since they combine sweet and sour. You have the sugar to lemon balance correct or they end up too tart or the sugar overwhelms the lemon to the point where you don't taste it. Ready for eating and ready for their closeup! We like the coarseness of the top! Lemon curd over yellow cake makes for a sweet and sour treat. 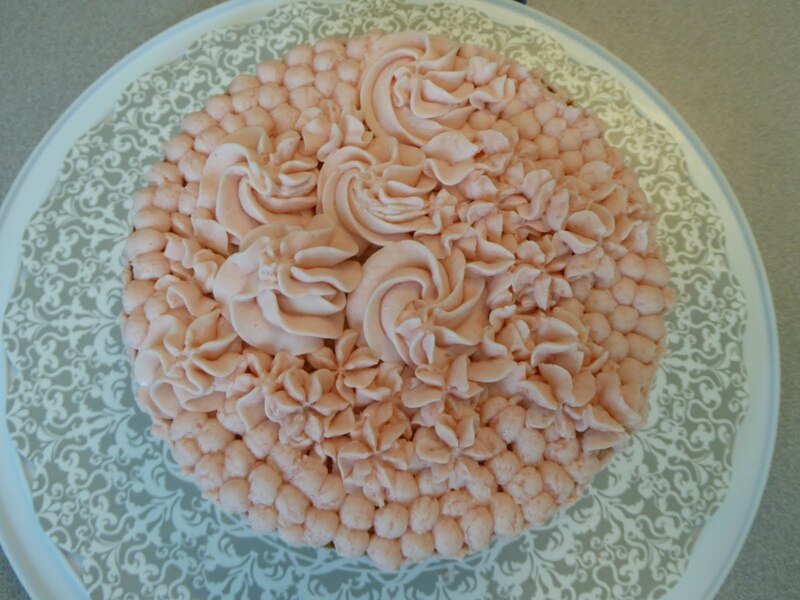 Our student baker nailed it though. These featured the lemon curd-like topping over a thin layer of yellow cake. They were baked well to come out nice and moist and the lemon balance - if we can call it that - was correct. Good job for the first entry and we give our gal 4 stars! !